Can You File Federal Taxes Without a 1099 Form? When you’re a freelancer or self-employed, you might receive dozens of 1099s from jobs you’ve worked all year. But, in the event you’ve lost your 1099, or never received one in the first place, don’t stress. You’re still able to file federal tax returns without one. There are many situations in which you may find yourself not receiving a 1099 or misplacing it. Unlike W-2s, the IRS typically does not require you to attach a copy of your 1099 to your return when you file taxes. However, this is when you’ll be glad you kept meticulous records of all your earnings for the year. Thew IRS does not require taxpayers to attach copies of all 1099s received to their annual tax return. If you are unable to locate a 1099, however, make sure you have an accurate record of how much income was reported on the form, as this information is absolutely essential for completing your tax return successfully. Do I Need My 1099 Tax Form to File? Your 1099-MISC form details your earnings from a particular client or payer as what the IRS calls miscellaneous income. 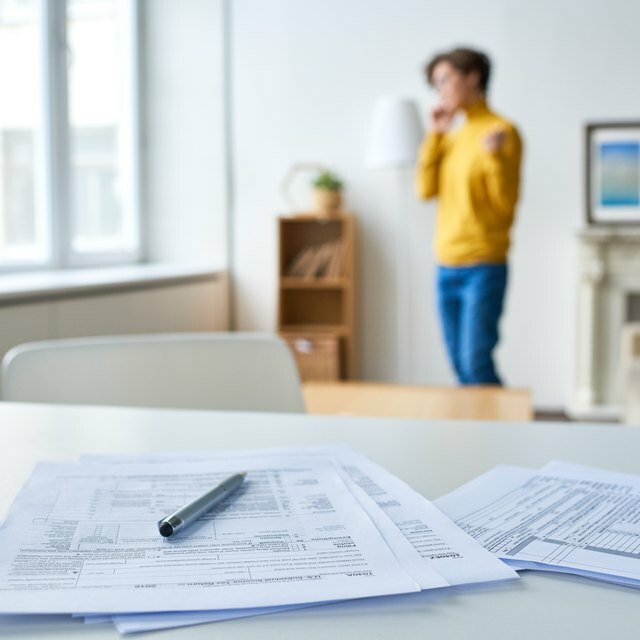 If you’ve kept an accurate accounting of all your expenses and earnings for the year, then filing your federal tax return without the 1099 form should not be a problem. The IRS uses the information reported on a 1099 so that return processors can double-check what you are reporting as income. Simply take the information from your records of how much you were paid for a particular job, and include this when you go to file your taxes. Sometimes you’re unsure, or cannot remember, how much you received from a specific payer. In this case, it is best to overestimate the amount of earnings, rather than underestimating them. At most, you will receive a refund of the overpaid taxes. However, if you fail to report all of your income accurately, you could face penalties. If you haven’t received your 1099 by February, you can contact your client and make sure he has the correct address on file for you. Not everyone receives a Form 1099 from jobs they’ve worked. Banks and investment firms use 1099s to report interest or dividends taxpayers have received from investments. The IRS has several versions of the 1099 used to report various types of income not received from standard employment wages, and therefore not included on Form W-2. If you’ve lost a 1099-DIV (dividends and distributions) or a Form 1099-INT (interest income), then you may be able to find the information reported elsewhere. What Is the Maximum Earnings Before Issuing a 1099? Can I File as Self-Employed With a W-2 on My Taxes? When Do I Need a 1099-R Substitute? Do You Need to Claim Income Taxes If You Are a Caddy? Banks and investment firms generally have your account statements available for you to check at anytime online. Use either an end-of-year quarterly statement, or a statement from December or January, to figure interest and dividends paid for the year. Usually, banks and other financial institutions include year-to-date summaries of your accounts. If you’re unable to access this information online, or find the 1099 online through your bank's online banking porta, contact the institution directly to inquire about the dividends and interest you earned. In the event you finally receive your 1099, keep it for your records and double-check it against what you reported when you filed taxes for the year. If you underestimated the amount, you will need to file an amended return, Form 1040X, with the final 1099 total. Filing an amended return protects you in the event the IRS takes a closer look at your return. For jobs under $600, payers are not required to submit a 1099 to the IRS, so you may not receive a 1099 from that client at all. In that case, use your own records of what you were paid to report that income to the IRS. Similarly, banks are only require to send you a 1099 if you made at least $10 in interest, but you're still required to pay tax on whatever interest you received. The requirements around 1099s aren't changing for 2018, but if you're paid for doing freelance work you may want to look into a new 20 percent deduction available for many business owners. This applies to income owned through sole proprietorships, partnerships, S corporations and other businesses where you don't file a separate business tax return and claim business income on your own return. The passthrough deduction isn't available for 2017 or earlier years. That's true even if you are filing your 2017 return or an amended return for an earlier in 2018 as a result of previously unreported 1099 income. Forbes: Missing An IRS Form 1099 For Your Taxes? Keep Quiet, Don't Ask!